Since Britain's decision to leave the EU on 23rd June, many companies have been bracing themselves for a period of uncertainty in the UK market. This sense of trepidation has been understandable; just last week the Bank of England announced that, for the first time in seven years, it would slash interest rates, as well as restart quantitative easing. And yet, despite the economy’s somewhat gloomy landscape, the British Retail Consortium has revealed that retail spending in July was up 1.9% higher than in 2015. According to Reuters, it was the biggest rise in six months and “up sharply from 0.2% growth in June, when bad weather added to uncertainty around the vote”. So far, British retailers Next, John Lewis and Tesco have claimed to have not been shaken by the referendum result. But instead of launching into a detailed analysis of the BRC’s findings, let’s do what we do every Friday and look at this week’s biggest ecommerce headlines. From Instagram testing a “save draft” feature to retail giant Walmart acquiring startup Jet.com, here’s a low-down on what’s been happening in ecommerce land. Earlier this year, Twitter introduced conversational ads to chosen advertisers in a bid to help them drive more customer engagement. Eight months on, and managed global advertisers can now utilise conversational ads as well as a brand-new Instant Unlock Card designed to galvanize users to Tweet to “unlock exclusive content”. According to the Twitter Blog, conversational ads include images or videos that feature call-to-action buttons that have customizable hashtags. The Instant Unlock Card then adds to this by encouraging people to Tweet in order to have access to exclusive content - such as a private Q&A. According to Twitter, whilst in beta, brands experienced an average 34% earned media rate. Following last week’s news that Unilever has purchased Dollar Shave Club for $1bn, Walmart.com has now acquired the privately held ecommerce startup Jet.com for three times the price. According to CNBC, it will be the largest-ever acquisition of an ecommerce company in history. A shopping site devoted to saving customers more money, Jet.com was launched in 2015 and is known for its savvy pricing scheme: “prices drop as you shop”. It is hoped that, as a result of Jet’s technology finesse, the new deal will accelerate Walmart’s goal to create a more seamless and slick shopping experience and help boost its ecommerce business. According to AdWeek, Jet will continue to be its own brand, separate from Walmart. The deal is predicted to close later this year following “regulatory approval”. Jet.com CEO Marc Lore commented on the value the deal will add to customers. Back to Twitter-ville, the social networking site is introducing its Moments feature to influencers, brands and partners. The feature was introduced as a way to show users the best of what’s happening on Twitter “in an instant”, however up until now has only been curated by a select group of publishing partners. According to the Twitter blog, Moments allows people to “capture and experience richer stories reflecting the diversity of Tweets that, together, make Twitter so powerful”. It is hoped that Twitter Moments will be something any user of the network can create in the imminent future. Here’s an example of how brands and influencers are currently using Moments from Budweiser and Allure Editor Michelle Lee. The rest of Twitter can currently follow @TwitterMoments and check out the Moments tab to discover “some of the most powerful stories on Twitter”. 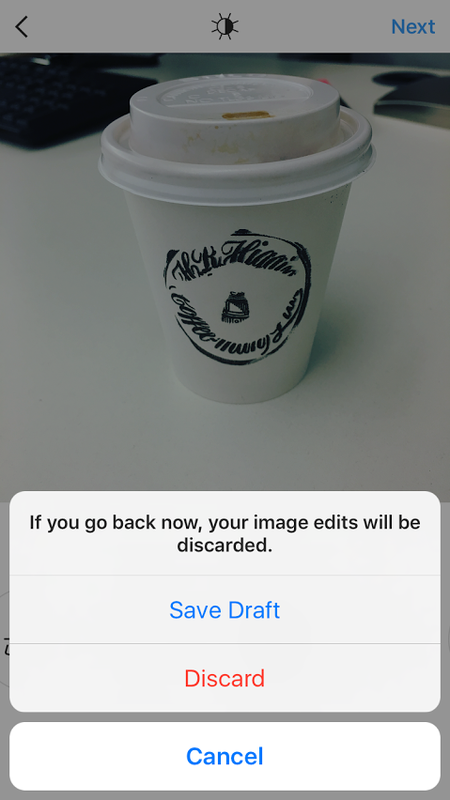 Instagram lovers across the globe struggled to contain their excitement this week as they were teased with a new “save draft” feature from the photo and video sharing app. It appears the devs behind Instagram might have been A/B testing the new feature as, according to TechCrunch, one user had access to the feature however it then disappeared. 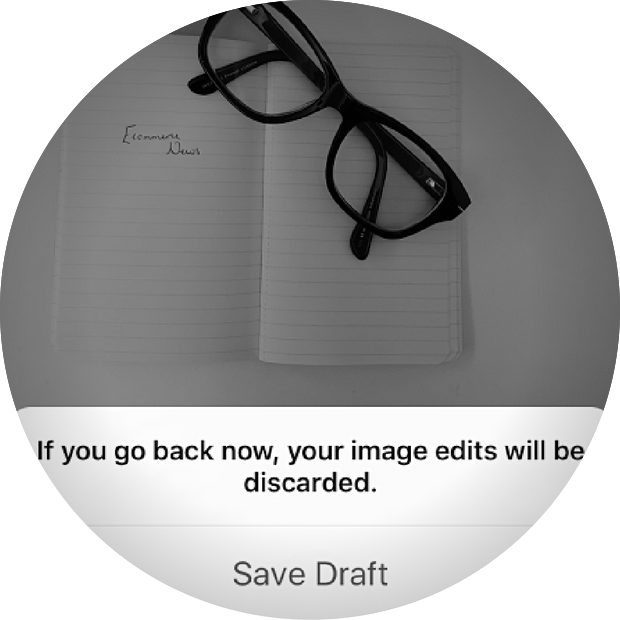 Those lucky photographers whose accounts are currently being used guinea pigs by Instagram will be given the option to “save draft” when they click “back” button. The saved image then appears in a “draft” folder when the user returns to their photo library. What does this mean for brands? Not only will it allow social media marketers to perfect their snaps, but also enable them to save images they are not 100% sure about posting until they have spoken with the rest of the team. If you’re one of the chosen ones to have access to this feature, we hope you have fun experimenting with it this sunny weekend! We know we will.